Mission Innovation (MI) is helping Saudi Arabia’s leaders to link international, national and local clean energy plans and to achieve green growth and sustainable development. The Kingdom of Saudi Arabia believes in the power of MI to inspire activity for the global clean energy transition and proposes bringing an international audience to an MI showcase event to promote the successes and motivate further action. We spoke to Dr Yousef S. Al-Hafedh, Director of the Center of Excellence for Wildlife Research, King Abdulaziz City for Science & Technology, about Saudi Arabia’s clean energy innovation activity and engagement in Mission Innovation. Dr Al-Hafedh is keen to promote the successes achieved through MI and has proposed a biennial international conference to be coordinated by MI. This event hopes to bring members and non-members together to showcase the successes, highlight the action needed and identify opportunities available within clean energy innovation. This is an opportunity to engage the private sector, a critical factor in achieving Mission Innovation’s objectives, where expressions of interest in investing have yet to be backed-up with financial commitments. Saudi Arabia is on track to achieve its Mission Innovation doubling commitment with support for joint R&D centres; bringing together academia and industry and funding for clean energy innovation provided by the public-sector. Researchers in Saudi Arabia are participating in six of the seven Innovation Challenges and recognise the benefits of collaborating with leading international researchers. As co-leads for the Carbon Capture Innovation Challenge (IC#3), Saudi Arabia and the US are working to achieve the goal of enabling near zero CO2 emissions from power plant and carbon intensive industries. In September 2017, IC#3 hosted an international workshop where basic research needs in carbon capture, use, and storage (CCUS) were discussed. 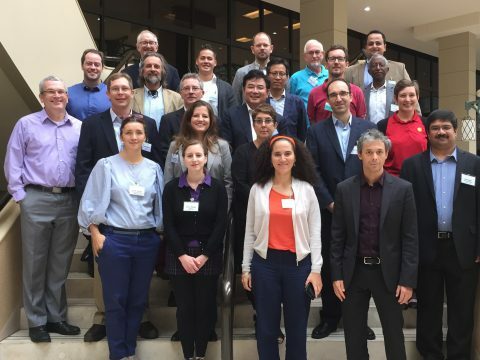 The workshop convened CCUS experts from across the globe and brought a variety of academic and industry perspectives to discuss breakthrough opportunities and international R&D synergies in CCUS. This workshop also established an international consensus on the most critical scientific challenges of CCUS and associated Priority Research Directions to guide research and development investment on CCUS. The team is working to finalise the workshop report, intended to be a key resource for the international research community, governments, and the private sector, helping to inform national R&D policies and programmes. This report will be showcased by Saudi Arabia and the US at the upcoming Mission Innovation Ministerial in May 2018. The work of IC#3 was recently promoted by representatives of Saudi Arabia, including Tidjani Niass, Senior Advisor to the Saudi Ministry of Energy, Industry and Mineral Resources, who featured combustion basic research needs for carbon capture at a recent international conference at the King Abdullah University of Science and Technology. Saudi Arabia is also arranging bilateral collaborations with MI members. It has recently agreed to Memorandums of Understanding (MoU) with the US and UK. The MoU with the US was signed on December 4, 2017 and established a framework for mutually beneficial cooperation in the area of clean fossil fuels and carbon management. The two countries will exchange experts, engineers, and scientists, and facilitate the transfer of technology. The MoU will also encourage the organisation of joint seminars, workshops, and visits by experts to facilities such as research laboratories, institutes, and industrial sites. The MoU covers many technical fields in this area including supercritical carbon dioxide power cycles; CCUS; chemical looping and oxy-combustion; the energy-water nexus, as well as other areas of mutual interest related to clean fossil fuels and carbon management. The MoU with the UK, signed on March 7, 2018, commits the two countries to work closer than ever before on developing technologies that will reduce carbon emissions while growing their respective economies. As part of this agreement, the two countries will share technical knowledge and expertise on clean energy, including smart grids, electric vehicles and CCUS. The activities supported by both MoUs, and through Saudi Arabia’s MIactivity, will contribute to the achievement of its Vision 2030 clean energy plans. This blueprint for Saudi Arabia’s future includes plans to grow the country’s renewable technologies sector, improve its energy efficiency and diversify its energy mix. 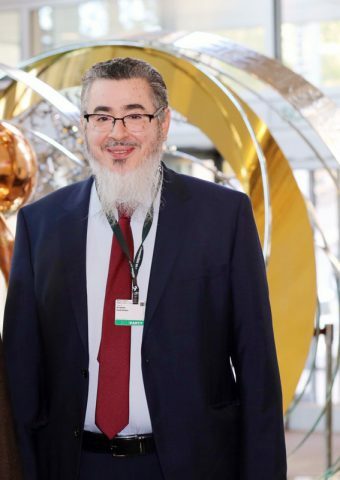 To continue the stimulation of clean energy innovation in Saudi Arabia, and to help other countries to do the same, Dr Al-Hafedh reiterated his enthusiasm for an international Mission Innovation conference to showcase the achievements of Mission Innovation and engage global stakeholders in delivering its objectives. Please contact Dr Yousef S. Al-Hafedh for more information.